Andrew P. Saulitis is of counsel to the firm and has over twenty years experience as a litigator. He specializes in complex and commercial litigation, including in the areas of creditors’ rights and bankruptcy litigation. Attorney Saulitis was formerly a partner at Lunney & Crocco, litigation experience ranges from pre-trial to trial and appellate practice in both state and federal courts to appeals to the United States Supreme Court, as well as arbitration and mediation. His clients include financial institutions, insurers, public and private corporations in a variety of industries, not-for-profit organizations and individuals. When resolution of disputes involves the need for litigation, or litigation-prevention strategies, attorney Saulitis brings his expertise to bear on behalf of clients of Halperin Battaglia Benzija, LLP. Attorney Saulitis is a graduate of the University of Notre Dame (B.A. 1977) and Fordham Law School (J.D. 1980). He is a member of the New York bar, and is admitted to practice before the United States Supreme Court, the United States Court of Appeals for the Second Circuit and the District Courts for the Southern, Eastern and Northern Districts of New York, including the Bankruptcy Courts within those jurisdictions. He has served as general counsel to two not-for-profit corporations and has served as a director of a prominent insurance concern. 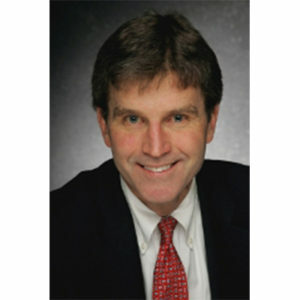 He also has served as an arbitrator with the National Association of Securities Dealers, Inc. and has served on the Executive Committee and the Committee on the Judiciary of the Commercial and Federal Litigation Section of the New York State Bar Association, with which he has authored and edited several published works in the area of federal jurisprudence and procedure.